Oh, Canada, come on down. And feel free to drive. State lawmakers are speeding toward repealing a new law that says international visitors need special permits to drive in Florida. The law, which took effect Jan. 1, has caused a brouhaha, particularly for Canadian snowbirds who pile into the Sunshine State each winter to take a break from the cold. “We want to make sure we send a clear message that our state is open for business,” said Rep. Daniel Davis, a Jacksonville Republican who is shepherding a repeal bill through the House. The law called for foreign visitors to get what are known as international diving permits before leaving their home countries. Those permits would be in addition to regular driver’s licenses and, so the thinking went, would help Florida law-enforcement officers sort out traffic incidents involving international visitors, especially those who don’t speak English. But the change created confusion and bad public relations for the tourism-dependent state. Rep. Ed Hooper, a Clearwater Republican, said his Pinellas County district gets a huge influx of Canadian visitors in the winter. “I think everyone has contacted my office to express their displeasure,” Hooper said before the House Economic Affairs Committee voted Thursday for its version of the repeal measure (PCB EAC 13-01). Beyond the effect on tourists driving into the state or lining up at airport rental-car counters, the law also might violate an international treaty called the Geneva Convention on Road Traffic. Concerned about the potential violation, the state Department of Highway Safety and Motor Vehicles last month said the Florida Highway Patrol would not enforce the international driving permit requirement. Gov. Rick Scott, who has made reaching out to foreign trading partners a big part of his effort to boost the economy, has also pushed for marketing the state to foreign tourists, recommending an increase in funding for VisitFlorida for such outreach. While the House committee and the Senate Transportation Committee approved the repeals, two lawmakers asked questions about how police officers would know whether driver’s licenses from other countries are valid. Nevertheless, members of both chambers indicated they are prepared to repeal the law. “The idea is trying to do it as quickly as possible,” Davis said. Florida is open for business. Come on down, Canada! Florida is in need to welcome all snow birds, if we want to help reduce the high unemployment rate! Canadians come to Florida and spend 3 to 4 months of their winter here. Then lets welcome them. 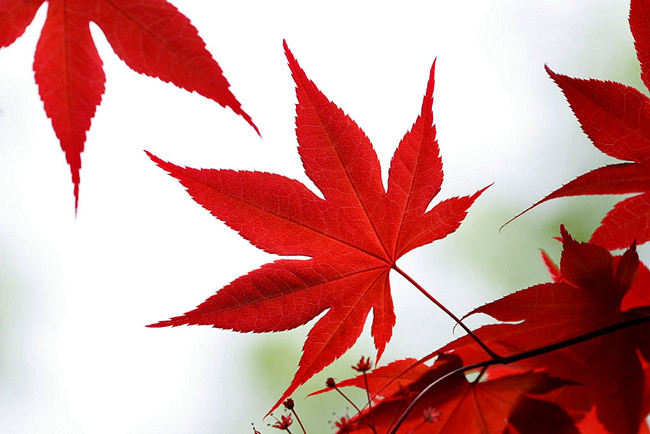 That is not the Canadian Maple Leaf you have used as an illustration. I plead to our fellow Floridian drivers please be kind, cordial and welcoming to our visitor bikers and also cyclist and needles to say our pedestrians. I always get a kick out of the happy and surprised faces of the any of them when I cordially yield to them and they appreciative wave back. Just lets try a little kindness as is very rewarding! It’s too late for me. I all ready cancelled my trip to Florida and have made other plans. As to how Law Enforcement officer will know if an out of state licence is valid?? Maybe they could just look at the expiry date on the licence. That might be their first clue. Are all politicians this stupid?? It’s not knowing if a license is expired that they are concerned about, because as you pointed out that is easy to discern. It’s knowing if the license is FAKE that is the issue. Florida law enforcement is trained to determine if a Florida license is fake. But they have no expertise in determining if a license from another state or in the concern addressed by this law another country is fake. Then will they ban drivers from other states too. Dumb reason. There’s also language issues…when a license is issued in a foreign language the officers have a hard time determining if it is valid or not. That’s why everyone keeps saying that the Canadians got caught in this by accident…when the legislature was thinking “force foreigners to get the English language International license” they were thinking of the people who come from countries that speak other languages. Having been a police officer for 35 years in Canada before I retired … we took training and received written documentation to determine if a driver’s licence was “fake”, which included all US states and provinces. In the 35 years I was on the road I was never concerned about whether a licence was fake … if I was, a simple computer check can determine if the driver is properly licenced through both US and Canadian systems which are available to all agencies. I think you’ll find that the intended purpose of this law was to have “foreign” licences from non-English speaking countries that don’t have their documents in English, translated. As was stated in the article …. it is the unintended consequences that the legislators didn’t anticipate. BTW … if you were to look at a licence from Quebec you would quickly see how easy they are to understand as well … even though they are in French. I give the Florida Law Enforcement community a lot more credit than I do the politicians. I’m not sure what’s more concerning, the significant impact this law has on our number one industry, tourism, or that this bill passed both houses and was signed into law by the Governor and yet nobody seemed to know what the impact would be or that it was even included in a bill in the first place!